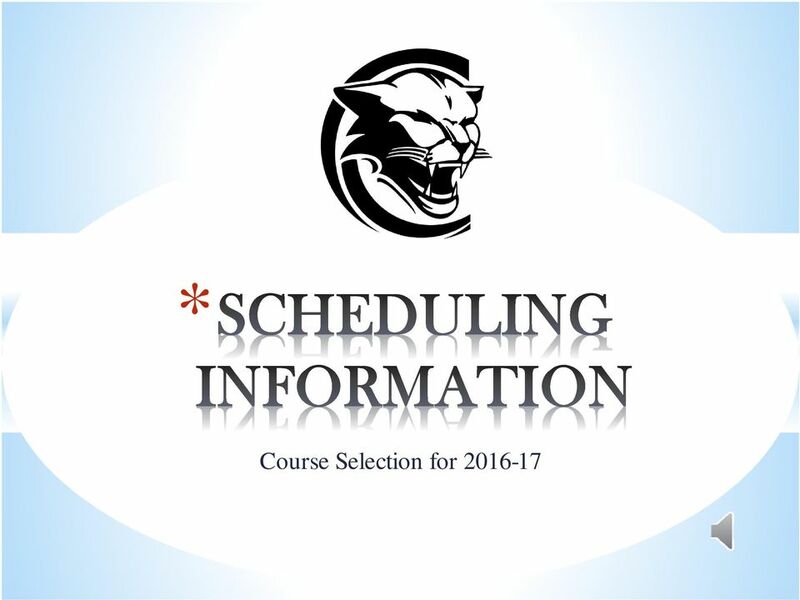 Download "Course Selection for 2016-17"
3 You can access Course Planner through the district website select South Lyon East High School. 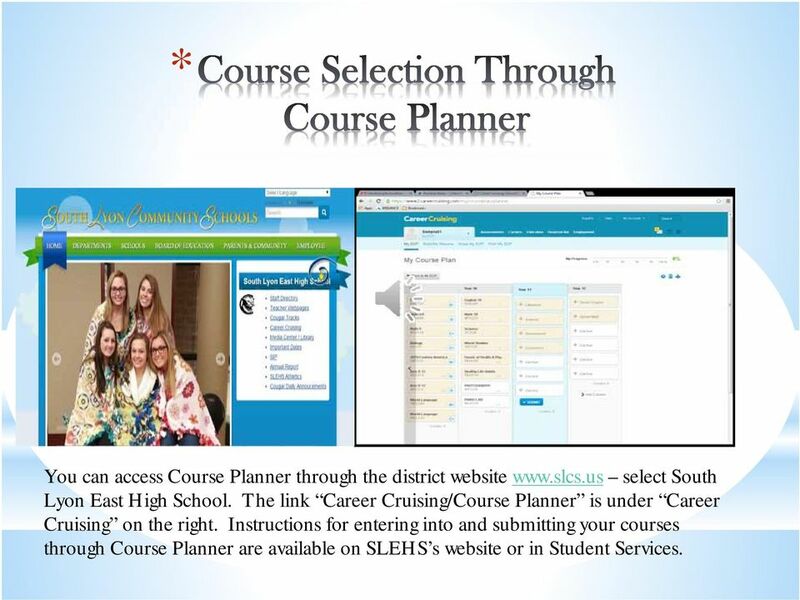 The link Career Cruising/Course Planner is under Career Cruising on the right. Instructions for entering into and submitting your courses through Course Planner are available on SLEHS s website or in Student Services. 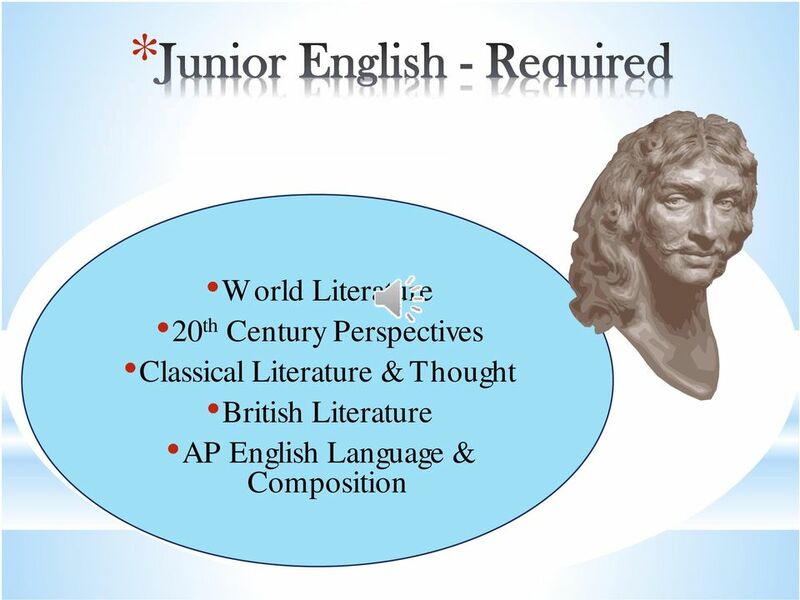 4 *English 4 years *Science 3 years *Social Studies 3 years *Mathematics 4 years *World Language 2-4 years *Visual and Performing Arts 1 year *Challenging/Career Related Electives 1-3 years * College entrance requirements vary by school it is your responsibility to know what the school you want to attend requires. 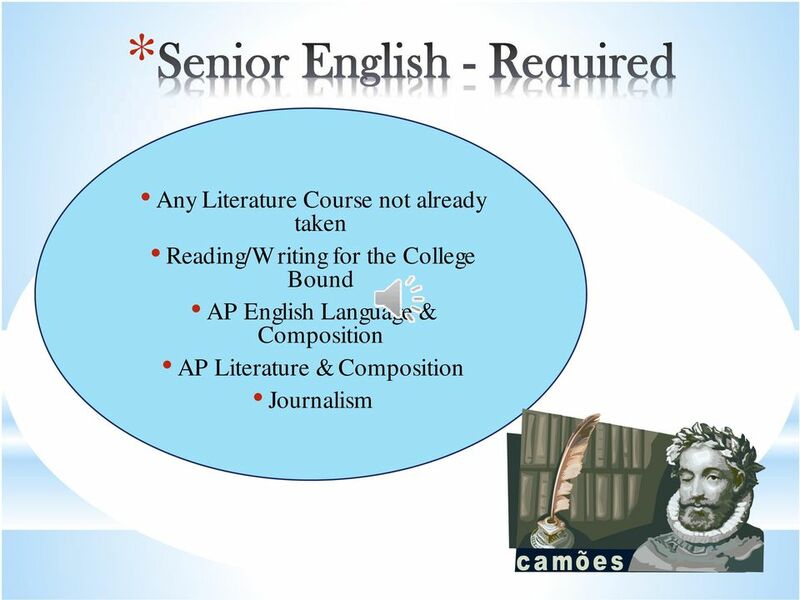 5 10 th Grade English 10 English 10 Honors 12 th Grade Any Literature Course not already taken Reading/Writing for the College Bound AP English Language & Composition AP English Literature & Composition Writing for Publication Journalism 11 th Grade World Literature 20 th Century Perspectives Classical Literature & Thought British Literature AP English Language & Composition All students should consult with their current English teacher for course selection. 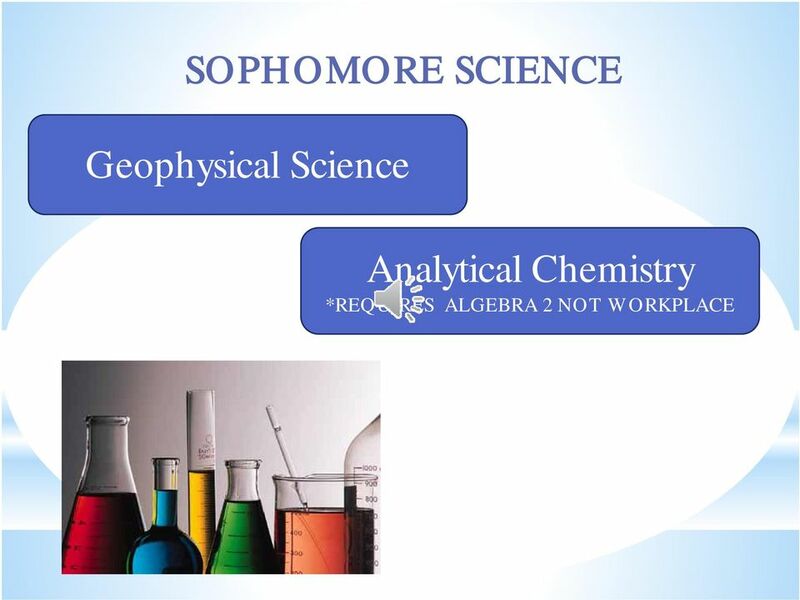 9 Biology Analytical Chemistry* Geophysical Science Physics Geophysical Science Analytical Chemistry* Chemistry *Analytical Chemistry requires Algebra 2 not Algebra 2 Workplace. 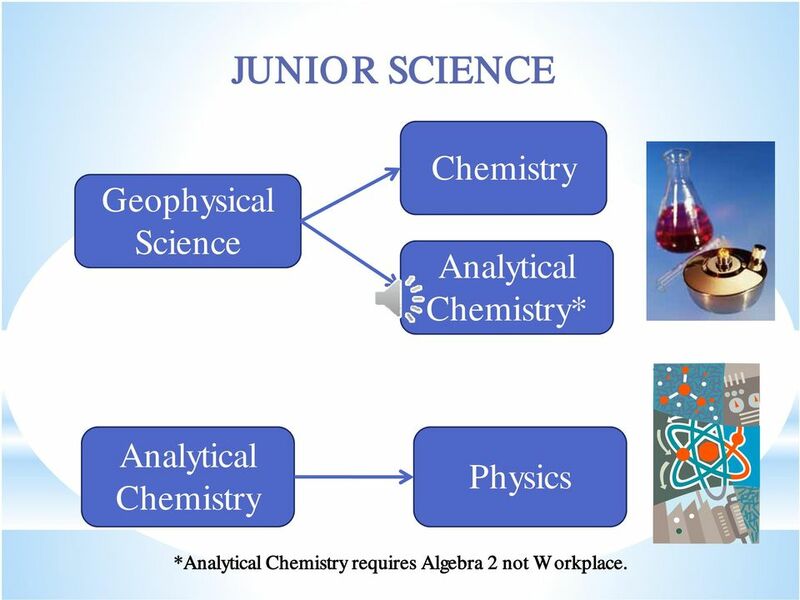 11 JUNIOR SCIENCE Geophysical Science Chemistry Analytical Chemistry* Analytical Chemistry Physics *Analytical Chemistry requires Algebra 2 not Workplace. 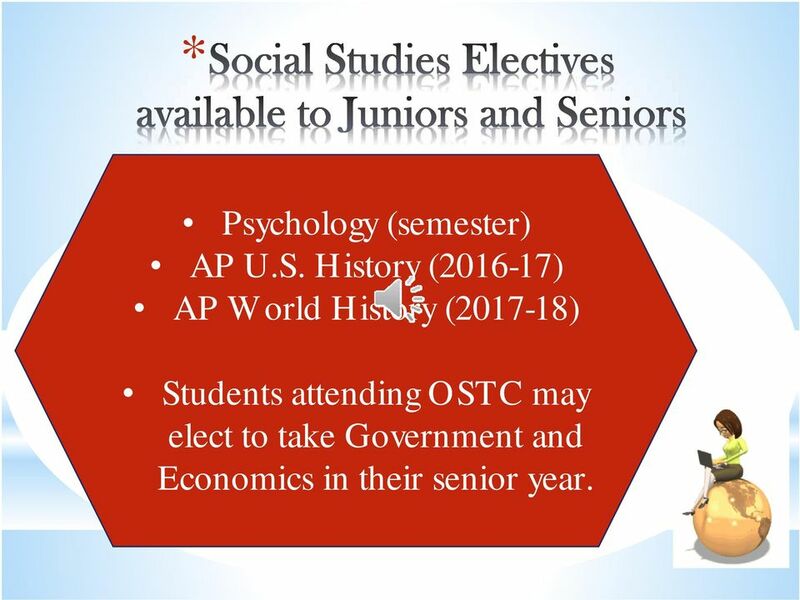 19 Psychology (semester) AP U.S. History ( ) AP World History ( ) Students attending OSTC may elect to take Government and Economics in their senior year. 29 *Year long classes have been split into two semesters; A (sem 1) and B (sem 2). *When you schedule yourself into either the A or B section, Course Planner will automatically schedule you into the other. 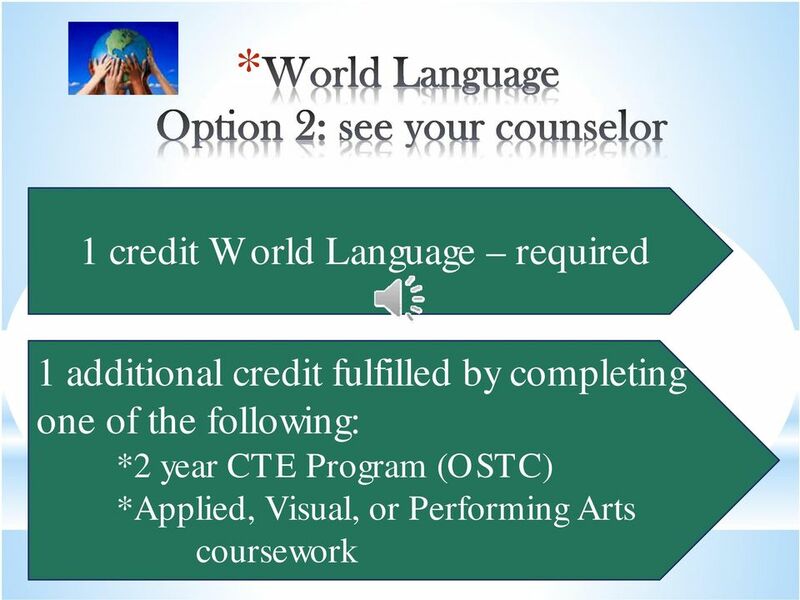 *If you need only one of the semesters for credit recovery you will need to see your counselor for an override. 30 Other Things to Consider: As you select your academic classes, please consult with your current teacher before choosing a course for next year. 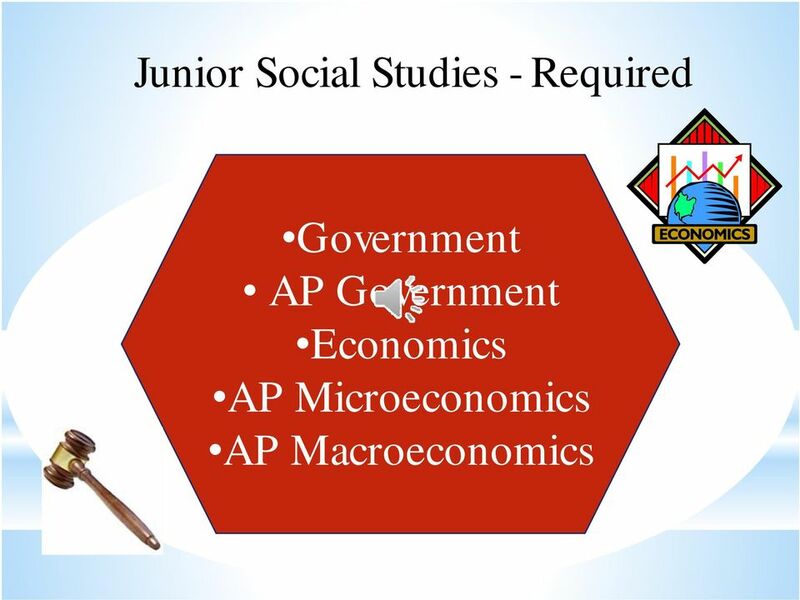 AP (Advanced Placement) courses are equivalent to entry level college courses in the degree of concentration, advanced work & study required. Students selecting year long AP courses will be expected to remain in the course for the entire year. Some courses require work to be completed during the summer months. 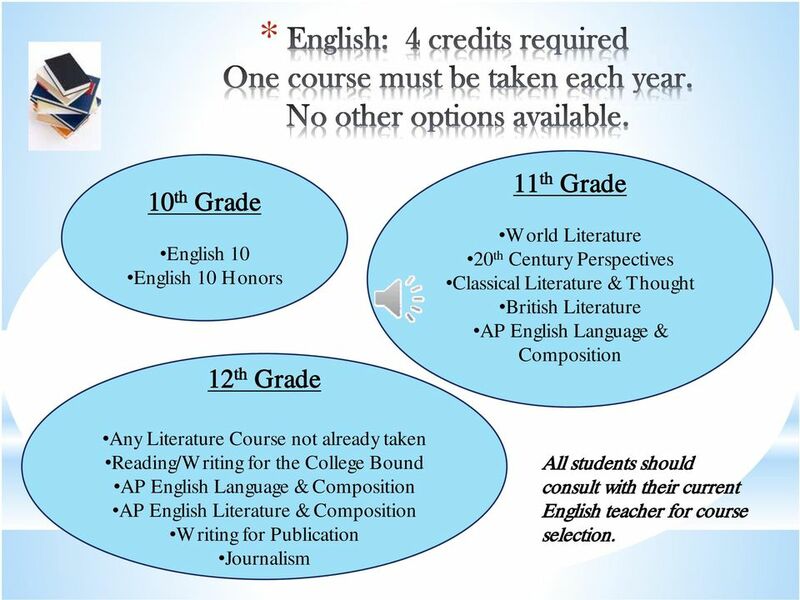 Please consult Course Planner or the Curriculum Guide to see which AP courses require summer work. 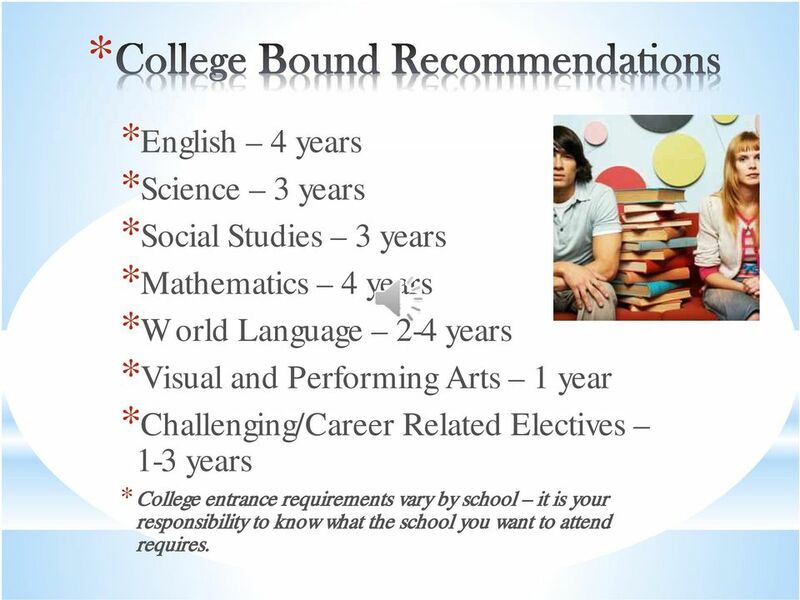 Seniors: You are responsible for making sure your course selections are acceptable for the college of your choice. Call the college s admissions office for verification. 31 *Choose your electives based on your interests. 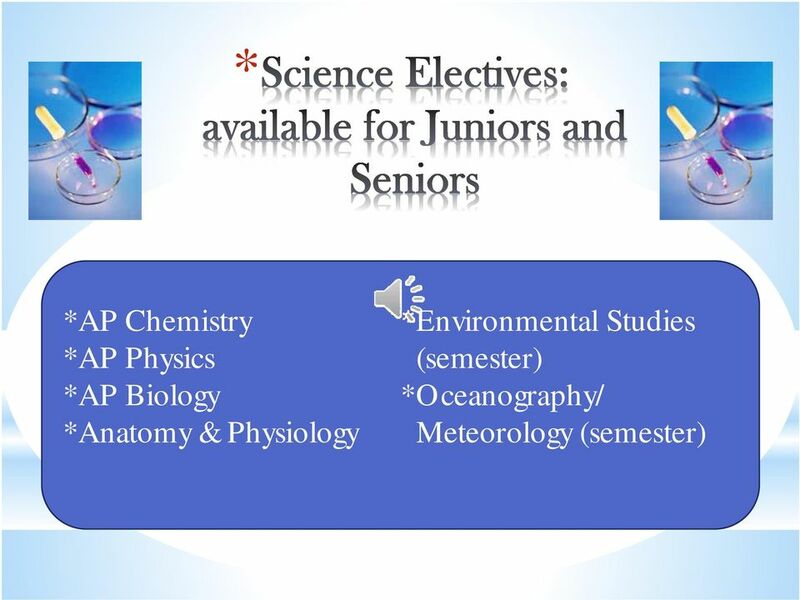 *You will need to select an alternate course for each of the electives you choose. *Alternates will be used for scheduling in the event your 1 st choice cannot be accommodated. *Please choose carefully as you may be placed into an alternate. *The credit value of your elective choice and the alternate should be equivalent. 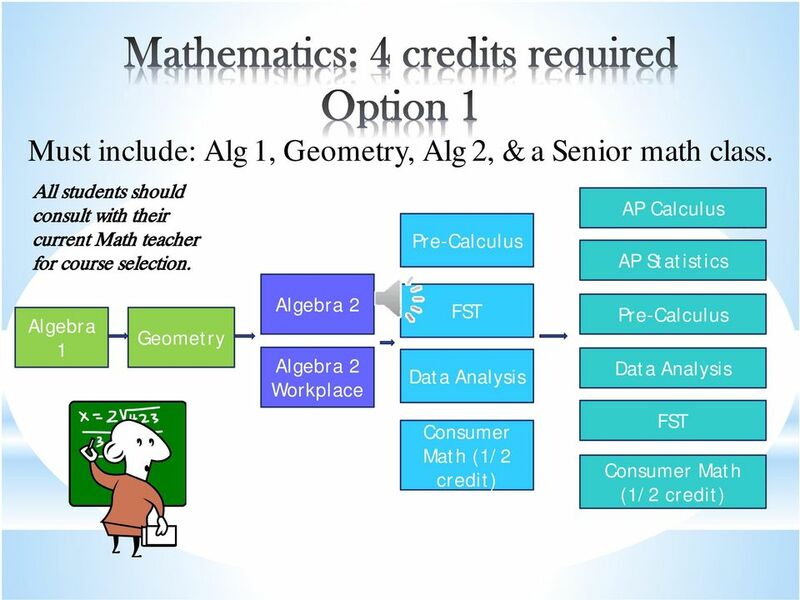 (Fundamentals of art is 0.5 credit so the alternate should also be 0.5 credit.) Alternates are in the gray shaded boxes. 32 No course may fulfill 2 requirements. 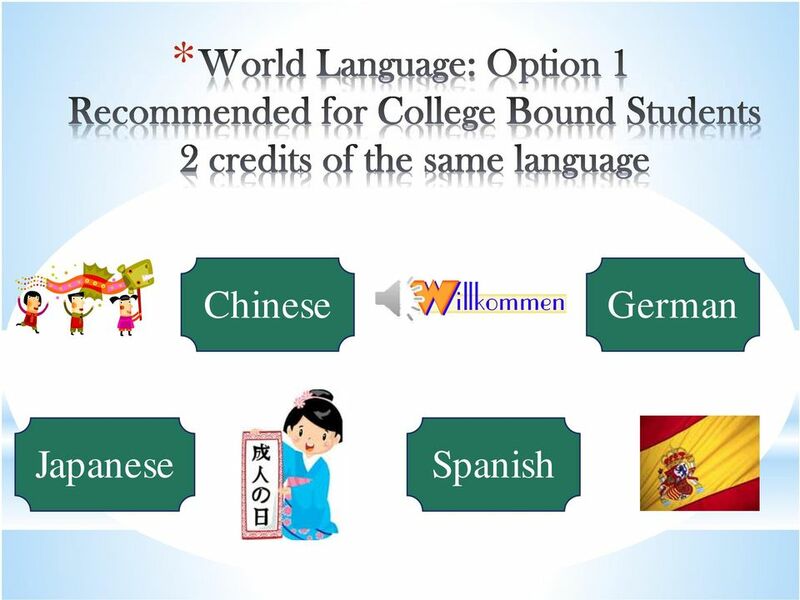 Example 1: You cannot use the same OSTC credit to meet both your 2 nd year of a World Language and your Science requirements. 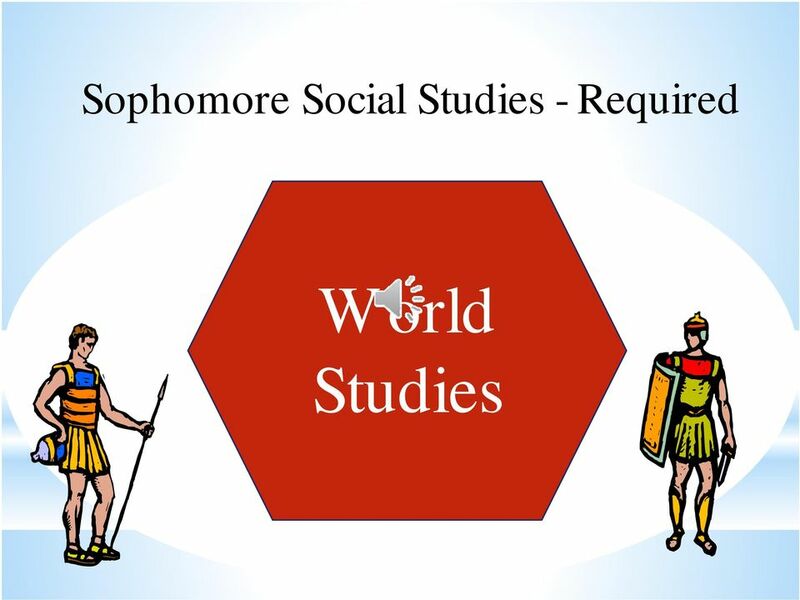 Example 2: You cannot use Fundamentals of Art 1 and Ceramics to meet both your AVPA and your 2 nd year of a World Language requirements. 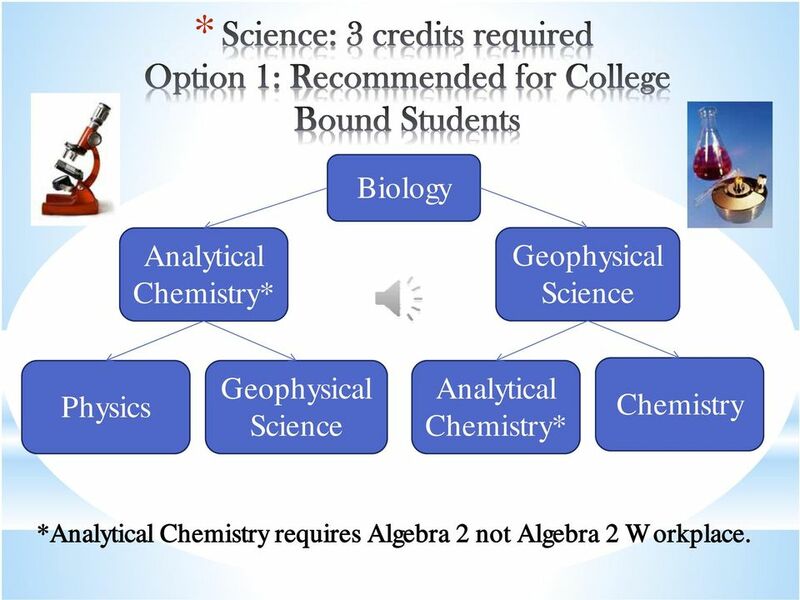 Example 3: You cannot use Physics to meet both your science and your senior math requirements. 35 Dual Enrollment Students with qualifying scores on the PSAT, SAT or ACT are eligible to dual enroll at a community college. See your counselor if you are interested. 36 Credit Recovery If you need to retake a course at SLEHS you will need to make an appointment with your counselor. 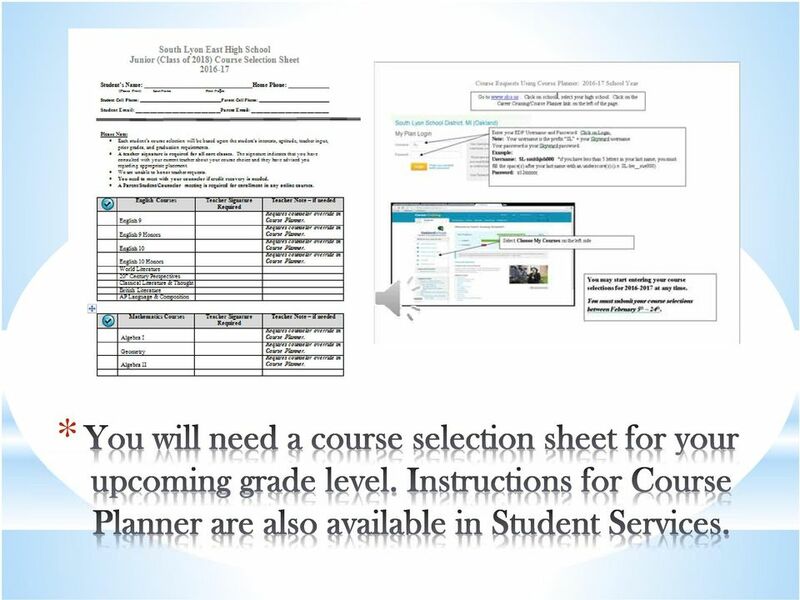 You will not be able to select these courses through Course Planner; it will require an override by your counselor. Testing Out Testing out is offered in January and June. Students must register in advance to attempt to test out of a course. A score of at least 78% is required on the course assessment for credit to be granted for that course. See your counselor for more information. 37 You may go into Course Planner and work on your course selection prior to the 5 th you just won t be able to submit your choices. ONCE YOU HIT THE SUBMIT BUTTON YOU CAN NOT MAKE ANY CHANGES TO YOUR COURSE SELECTIONS CHOOSE CAREFULLY! After you submit Print off the Course Request Sign Off Sheet Both the student and parent must sign the sheet Return your Course Selection and Course Request Sign Off Sheet to Student Services no later than February 24 th. 38 Schedule Change Policy: Staffing is predicted and schedules are created based upon student class requests. It is important that all students and parents understand that course selection is important and the necessary time should be given to this process. Schedule changes at the beginning of the school year or throughout the school year will be considered for the following reasons: A course needs to be added to fulfill a graduation requirement. 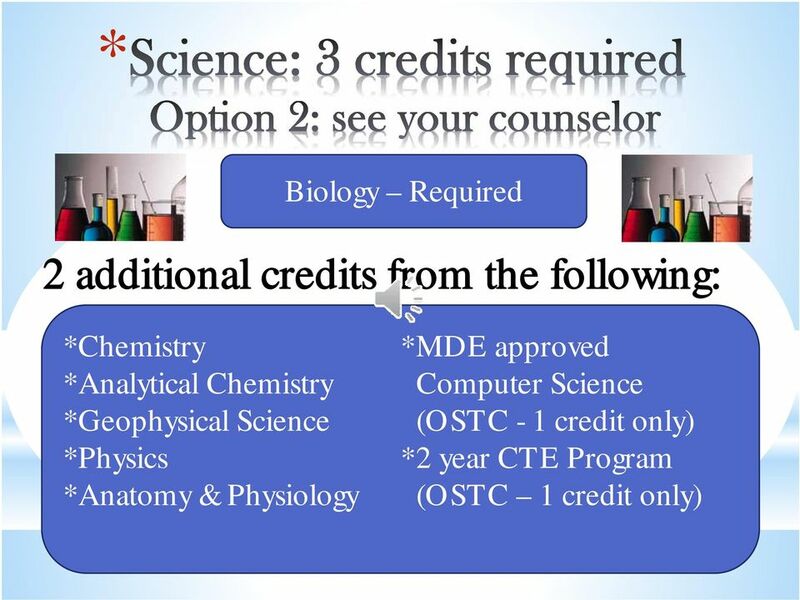 A course is no longer needed due to credit earned in summer school or testing out. 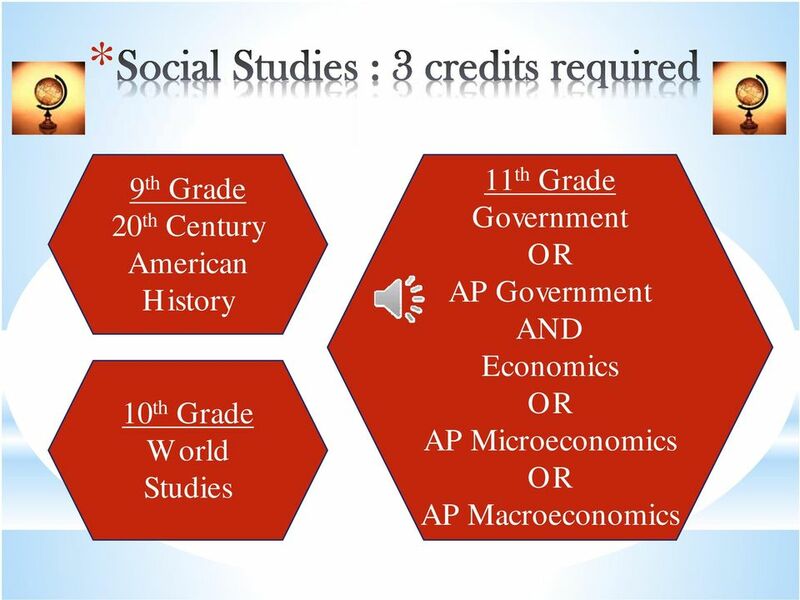 A course needs to be retaken due to credit not being earned. 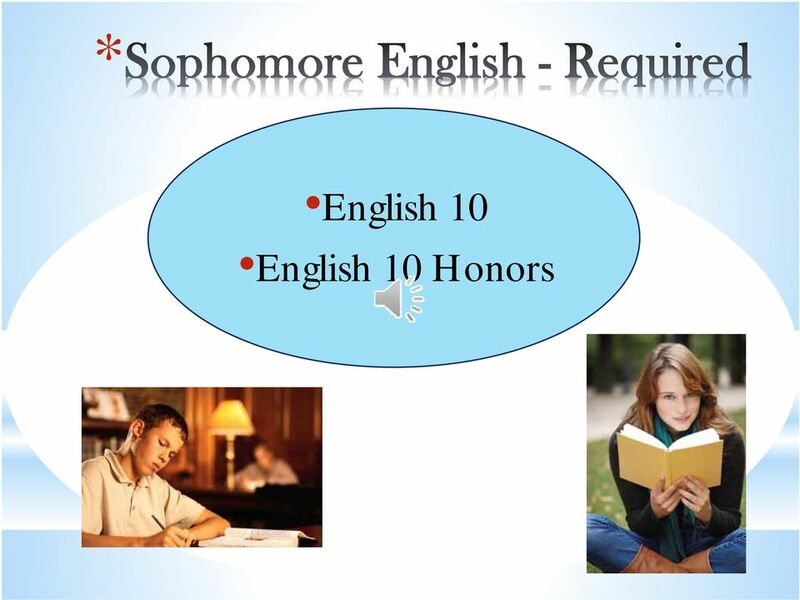 A student has been placed into a course for which they have not met the pre- requisites. A student has too many or too few classes or multiple sections of the same course. Changing of schedules will not be permitted because the student has changed their mind. Requests for teacher changes will not be honored. 40 The Counselors and the Career Development Facilitator will be available in Student Services the week of February 8 th, during all lunches, to assist with course selection and course entry into Course Planner. Counselors will also be available for individual appointments. Stop by Student Services if you need to make an individual appointment with your counselor. Virtual Coursework Report EXECUTIVE SUMMARY. Purpose of Report: To inform the Board of the progress of the virtual coursework pilot.